Modern Japanese cuisine is all about flavor and fusion, texture and contrast, freshness and balance. Eat at your own pace, eat at our place. 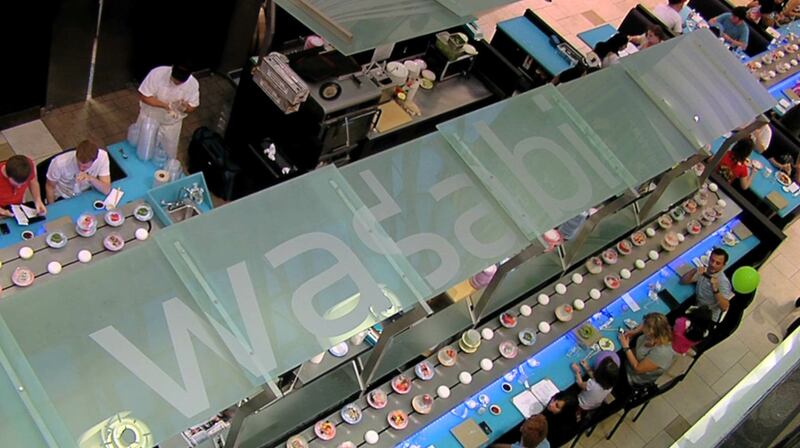 At Wasabi, we think we’ve got everyone covered. The Japanese enjoy a long, healthy life. We believe it is largely because of their cuisine — so we eat a lot of it and think you should too. We offer healthy cuisine rich in fish, rice, and soy — nutritious and delicious! All this taste does you good. We offer traditional sushi at its best, along with modern variations – richer flavors, unexpected combinations and cooked fish alternatives. Following the principles of Japanese cuisine, we stress the quality of ingredients, the simplicity of their use and attention to presentation. Wasabi’s cuisine doesn’t stop at delicious sushi – we offer cooked entrees ranging from beef, chicken, shrimp to salmon, tofu and more. Appetizers like Mixed greens with homemade ginger dressing, shrimp dumplings, chicken gyoza and edamame are sure to satisfy all. One of the children’s favorites include the wonderfully unique peanut butter and jelly roll. Sake on the list comes from breweries that have been making sake for more than two hundred years, with a dedication to brewing only the finest quality sake. Try it chilled, warm or mixed into one of our refreshing Saketinis flavored in mango, green apple or green tea. Our desserts range from elegant and simple to rich and surprising. A few examples are our light and delicious green tea cheesecake, fresh fruit bowl, traditional Mochi cakes filled with a chocolate cream and our Mt Fuji cake made from angel food cake, whipped cream and strawberries.